11 YRS Yiwu Wisdom Import & Export Co., Ltd.
Also exporting to Europe, America, Korea, Japan, Singapore, Malaysia, Thailand, the Philippines and other countries. Sales team are looking forward to your call letter negotiate wholesale, agents, retail business. * Service slogan: Rely on our expertise and technology, to be a enterprise that make all customers be satisfied with. 2. We produce your goods after more than ten working procedure. 3. We have 20 professional sales team to provide 24 hour service. 4. We have 7 professional deisngers team to make your idea come ture. 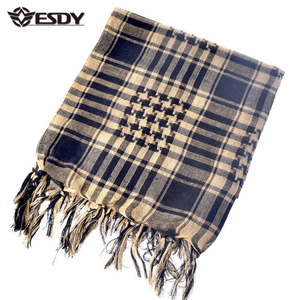 6 YRS Fujian Loogu Outdoor Co., Ltd.
1 YRS Dongguan Youlian Apparel Co., Ltd.
3 YRS Shenzhen Sihe Technology Development Co., Ltd.
10 YRS Guangzhou Haike Outdoor Sport Co., Ltd.
1 YRS Nanjing Zennison Outdoor Equipment Co., Ltd.
4 YRS Xiamen Ruistar Import And Export Co., Ltd.
2 YRS Changzhou An-Sun Outdoor Sports Co., Ltd.
Online Skype: live: 78c327029c41a7e 160CM Breathable Versatile Military Army Shemagh Scarves Tactical Combat Sniper Veil Camouflage Scarf Most Length:160cm(63 inches) Most Width:45cm(17.7 inches) Material: Nylon+ Spandex Feature: Windproof, Wearproof, Breathable, Tactical, Military Equipment. 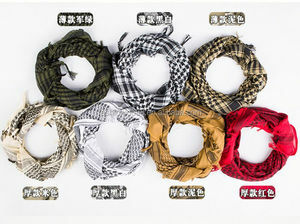 For: Casual, Army Training, Tactical, SWAT, Combat, Outdoor sports, Hunting, Fishing, Hiking, Climbing, Runing, Cycling, Travel. 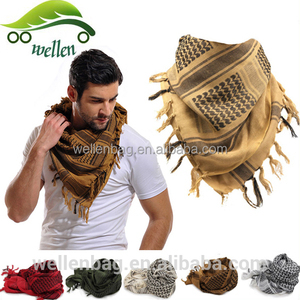 Usable: Scarf, Veil, Kerchief, Sweat Scarf, Insect prevention Scarf, Camouflage Mesh. 3. Have experiences supply to big brands and retailers. What we sell is not just a product, but also the reliable quality and hearty service. What we get is not just the profit, but also our customers&rsquo; trust and public praise . 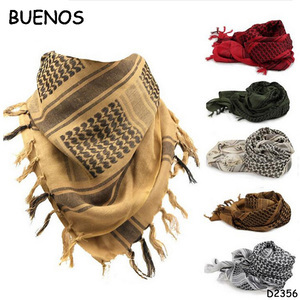 5 YRS Guangzhou Huasheng Tourism Co., Ltd.
Alibaba.com offers 181 tactical shemagh scarf products. 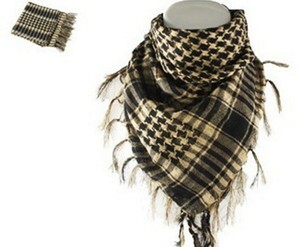 About 77% of these are other scarves & shawls, 8% are scarf, hat & glove sets, and 2% are other police & military supplies. 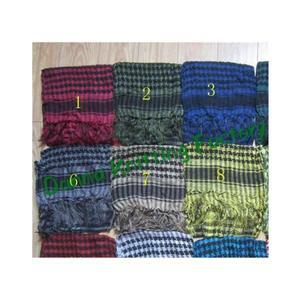 A wide variety of tactical shemagh scarf options are available to you, such as free samples, paid samples. 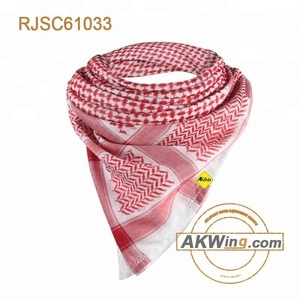 There are 181 tactical shemagh scarf suppliers, mainly located in Asia. 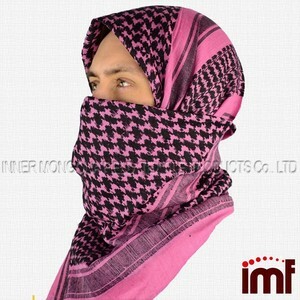 The top supplying country is China (Mainland), which supply 100% of tactical shemagh scarf respectively. 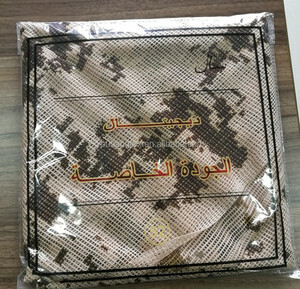 Tactical shemagh scarf products are most popular in North America, Western Europe, and Eastern Europe. You can ensure product safety by selecting from certified suppliers, including 5 with Other, 1 with ISO9001 certification.